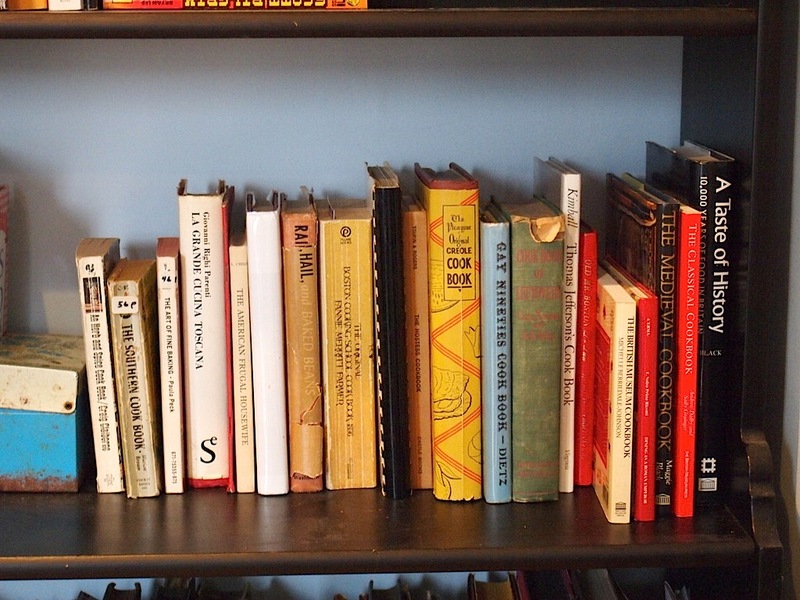 I’ve been trying, for a while, to figure out how to effectively give a tour of my collection – and finally set up a Tumblr to work my way through it, book-by-book (hopefully a post a week). 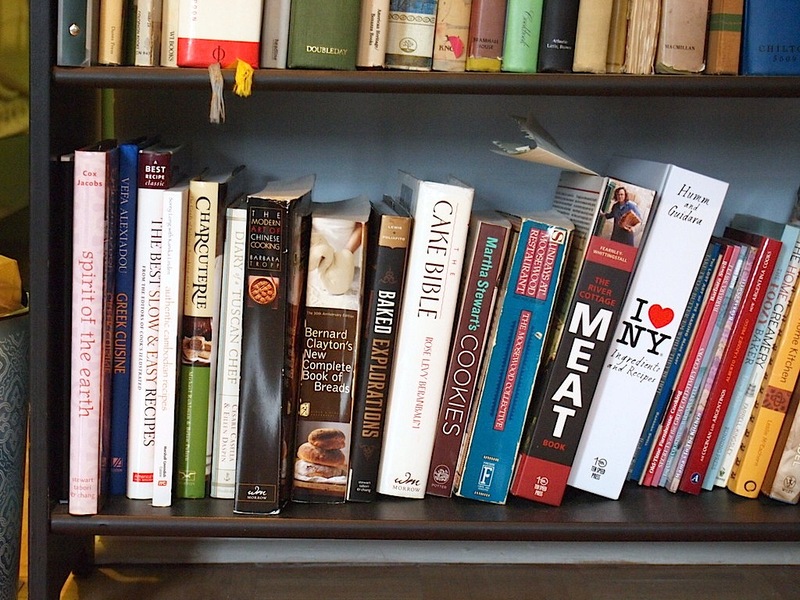 In the meantime, here’s a bird’s eye view of my the cookbooks I’ve accumulated – both old and new. 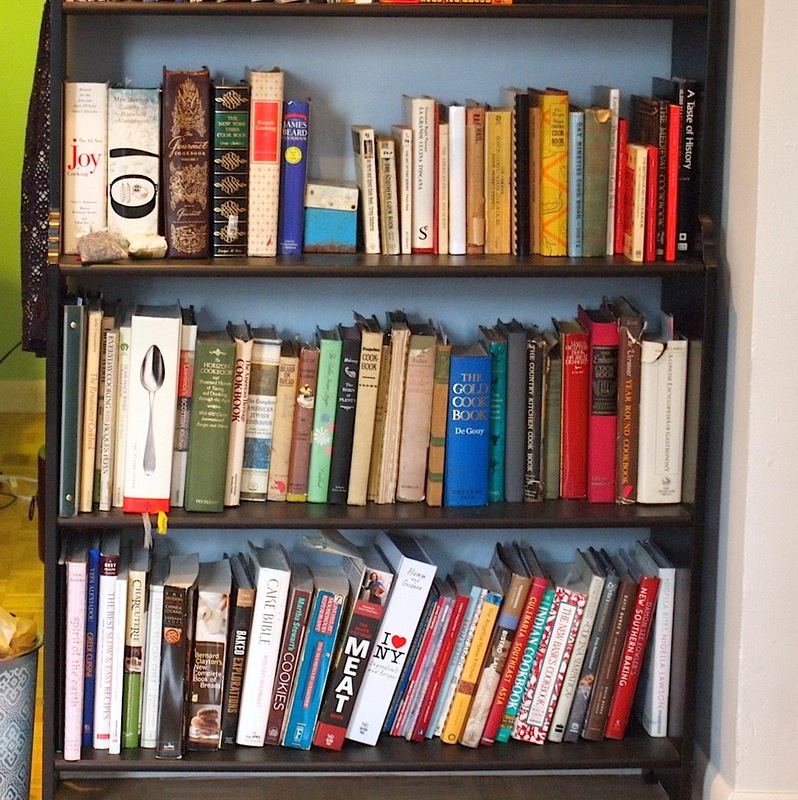 This is nothing compared, say, to the entire wall of books my friend Emma’s mom has. Give me the extra 30 years she’s been collecting though, and I’m sure I’ll catch up. maybe I should get my marines son the Military Wives cookbook for his future bride. Or the heirloom recipes book – the ‘Take two and butter them while they’re still hot’ one – assuming the subtitle refers to various forms of bread………….. Fantastic titles! 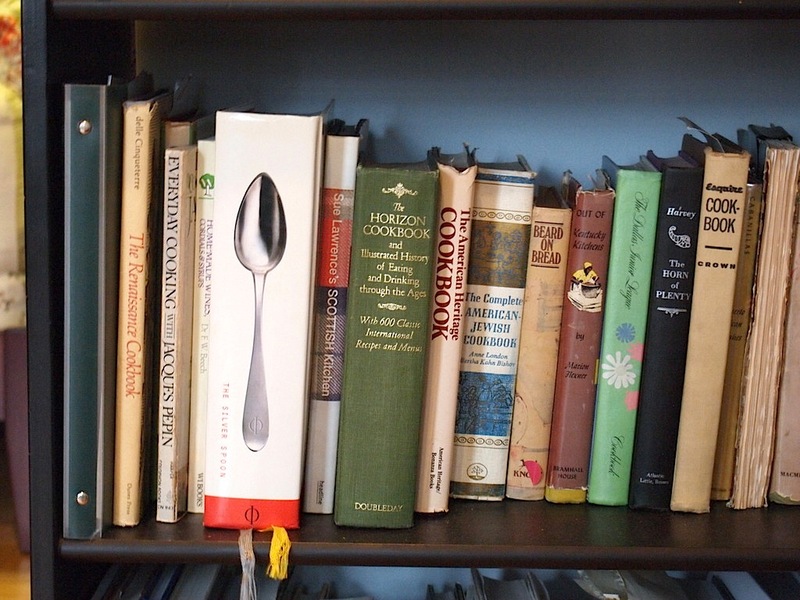 I have some books from the same era from the UK, Scotland and Ireland (no they’re not really part of the UK according to their residents)with recipe names that are priceless! If you are making a haggis then I am a dinner guest – it’s wonderful. get the real sheeps stomach tho, otherwise it falls apart in the water. I like the prune/plum dumplings, Deirdre, having feasted on them once in Germany, if I remember correctly. Or maybe it was Austria. . . . When you’re ready for REAL Chinese, Celia, you can inherit my Pei-Mei books from Taiwan, printed in the 1970s, when Asian food was first beginning to be appreciated.